waterTALENT | Resilience in the Face of the Brain Drain– How can water utilities navigate today’s generational change? Resilience in the Face of the Brain Drain– How can water utilities navigate today’s generational change? America’s workforce is staring down the barrel of serious demographic crisis: the Baby Boomers are retiring. By the end of the decade 60 million Americans will retire or — stated another way — 90% of the tasks being completed in the workforce today are handled by people who will no longer be a part of it in a matter of years. The problem is even more serious for the water sector. 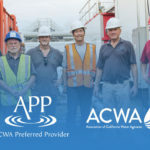 By some estimates, nearly half of the country’s top-level water and wastewater operators — the professionals who keep our water clean and our environmental systems healthy — will be retiring in the next twelve to eighteen months. Why is the water and wastewater industry experiencing such a mass exodus? 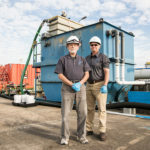 A few reasons: first, the Clean Water and Safe Drinking Water Acts (whose regulations prompted a hiring spree) have reached their 40-year anniversary and the operators who began their careers with the new regulations are ready to retire. A second reason is that the 2008 economic crisis led many senior operators to delay their retirement; these operators have now reached a level of economic security that allows them to retire comfortably at the same time that the next generation of operators have reached retirement age, leading to a wave of retirements all at once. The timing couldn’t be worse: just as the major pieces of water and wastewater legislation has turned 40 years old, so too has the infrastructure built as a result of that legislation. Leaders of our water and wastewater utilities face a perfect storm of challenges. Deferred water and wastewater infrastructure investment has reached $1 trillion (yes, trillion), and this combines with greater source water quality challenges and the identification of new contaminants of increasing concern. Water and wastewater utilities aren’t taking the problem lying down. They have been working to address this demographic crisis for years through a number of successful strategies. These include apprenticeship programs, workforce development organizations, succession planning, internships, job fairs and other initiatives. As younger generations are flocking towards today’s booming web-based industries, the water and wastewater industry remains thirsty for young talent to fill an ever-increasing void left by retiring operators. 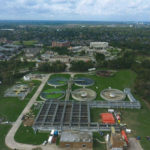 But even this new generation of water and wastewater leaders still leaves the sector 20 years behind in filling the senior positions that require a career’s worth of experience to execute successfully. Additionally, improvements in enterprise software, remote monitoring, systems diagnostics and other technologies will enable utility employees to do more with less. Although many utilities are far behind from a data technology perspective, the growing suite of available solutions represents a powerful approach empowering utility managers and operators. Still, we will need people to operate such technologies. 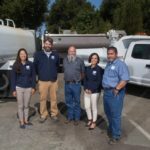 One part of the overall solution is creating an on-call, nationwide team of licensed, experienced operators who can fill any temporary role left by an unexpected vacancy in a water or wastewater utility. As the pool of experienced operators shrinks, the industry needs a solution that can help utilities and districts remain flexible through staff transitions, while maintaining uninterrupted compliance and avoiding any costly downtime. 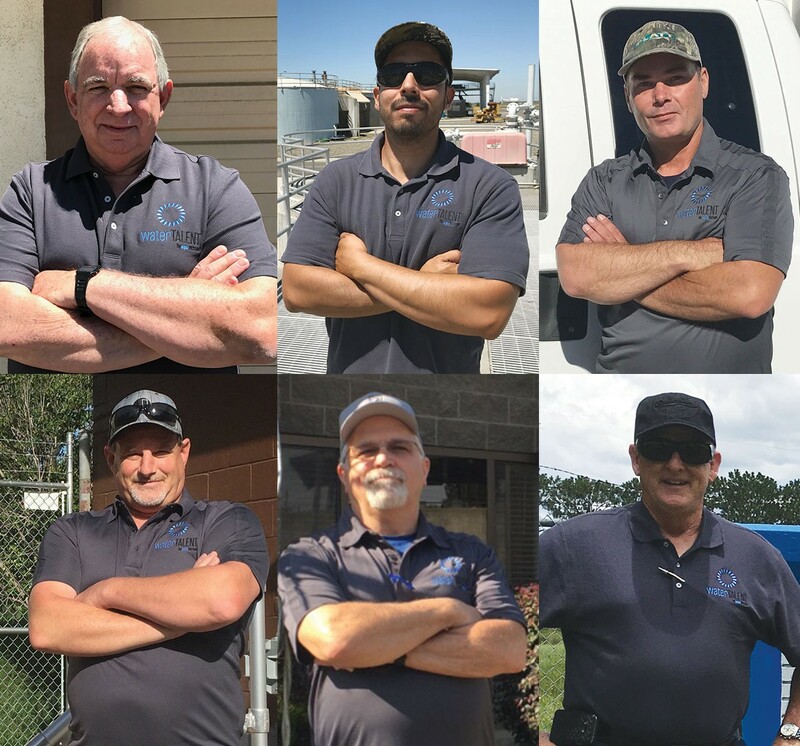 At waterTALENT, we’re building a pool of top-tier, licensed, and vetted water and wastewater operators spread across 30+ states, who are ready to be deployed at a moment’s notice. Think of it as the “National Guard” for water. These operators come equipped with a wide array of the skills and experience from decades of hands-on work inside plants and on field crews all the way to senior management and leadership positions as Superintendents, General Managers, and Public Works Directors. Most of these operators are at the point in their career where they are ready to give back and devote their time and energies to training the next generation of operators and ensuring that the systems they helped build are able to continue serving the communities where they live. Cities, districts, agencies, and companies are feeling the increasing pressure of a shrinking talent pool as their most senior operators look towards retirement. Despite the water industry’s imminent human capital challenges, there are clear opportunities to leverage human capital and technology to keep the nation’s taps flowing.